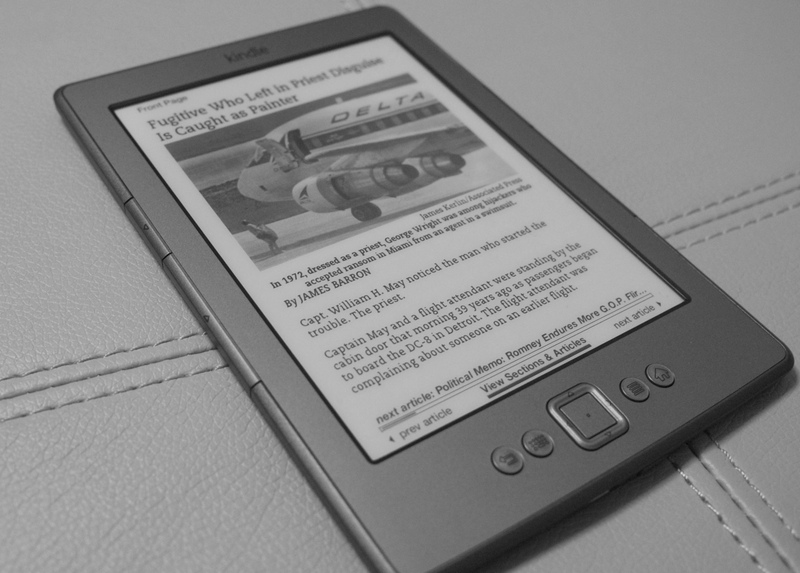 The most stunning thing about the new Kindle is, without a doubt, its size. My old Kindle 2 is 290g, my new Kindle is 160g. That's a very noticeable difference. I imagine that most of the weight savings comes from losing the useless keyboard. Which is, in turn, possible because the screen refresh is approximately 90,000 times faster. In my scientific opinion. Aside from those hardware differences? It's still a Kindle. The software is the Kindle software (and now I know one of the guys who wrote it, so I have somebody to blame for java.lang.Integer errors), which is cool. There are some little tweaks, like the option to decrease inter-line spacing, but it's the same e-reader software that I know and love. I've gotten two and a half years of great use out of my Kindle 2, from reading the Times every morning on the subway from the 116th St. station to the 14th St. station in 2009 through reading the Times every morning while I ponder the San Francisco fog in 2011. Books are awesome, and eBooks are eAwesome. For $109 (without ads), how can you say no? What about the other new Kindles, the Kindle Touch and Kindle Fire? Well, I think the Touch is pretty ridiculous. I've never had an urge to touch my Kindle's screen to change the page. Why would I pay $30 more for the privilege of touching the screen (and also the "privilege" of 50g extra mass)? And the Kindle Fire is cool hardware for an amazing price, but scary software. All the bad things I've said recently about Chrome breaking the internet (with 60-second socket timeouts and speculative prefetching) are nothing compared to the mess that is Amazon Silk. But that's all a post that can wait until the products are actually released next month. I have an iPad and a TouchPad, so I don't think I'm in dire need of any new tablet computers for a little while. Now, if you'll excuse me, I think I should go read a book or something.